I read some advice about choosing the right axe recently. I want to make a statement about choosing the wrong axe, or at least the closest axe. I’ve met young people who couldn’t afford a high-end axe and felt that their skills wouldn’t develop until they could. It’s not true. The path to axe mastery will always be to clear an acre. It will never be sitting around and talking about axes. The specialist has multiple axes, each for its specific job. The generalist has one axe, but uses it for everything. The generalist is more in line with the philosophy we teach, because when out on an expedition you only carry one and it has to do everything. A skilled user should be able to accomplish the needed tasks with any axe. I’ve seen first hand how not having the “right” axe has been used as an excuse to do a shoddy job. Pining away for a specific brand of head or handle length won’t help you accomplish any tasks. Using the axe you have will. 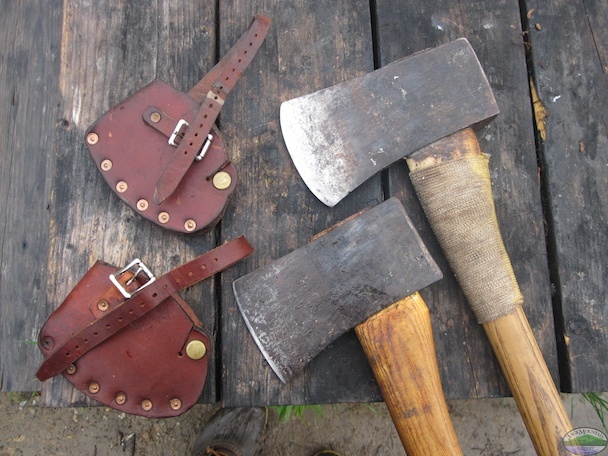 So to counter the common advice about choosing the right axe, I advise you to choose the right axe-user by gaining experience and knowledge using the axe. Always remember it’s the user, not the tool.